I have more Liv pics to share...I had way too much fun with these dolls. I'd been wanting to share some of the miniature music instruments I've acquired over the years. It had been long overdue. At first I was thinking about the perfect size dolls to pose with them. I was obviously overthinking things since I'm only posting this now. 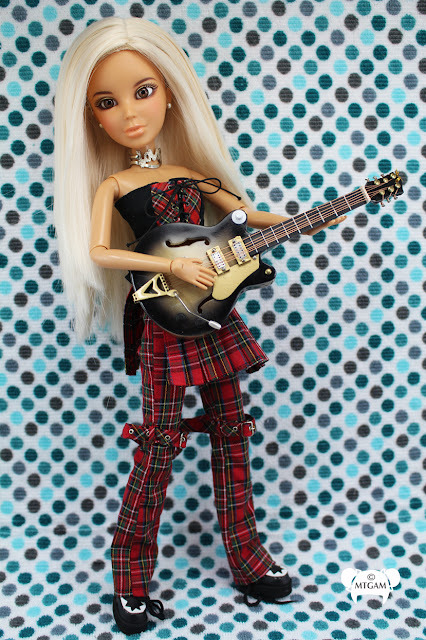 The classic jazz guitar was originally an ornament that I got from a Christmas store in Montreal in 2009. It's made of wood. Beautifully detailed. But since it wasn't meant for dolls, it's missing a strap. The keyboard was from a Justin Bieber doll set that was given to me, I believe, three Christmases ago, in 2013. 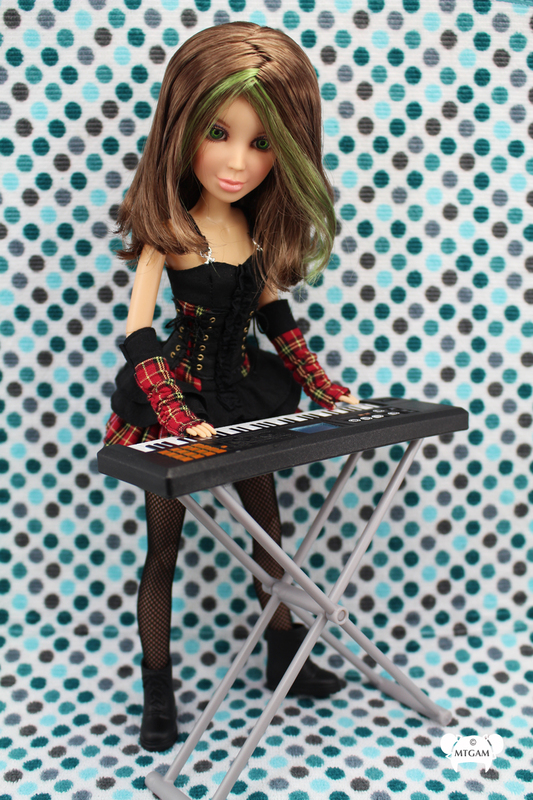 Nice looking keyboards in doll sets are hard to come by. 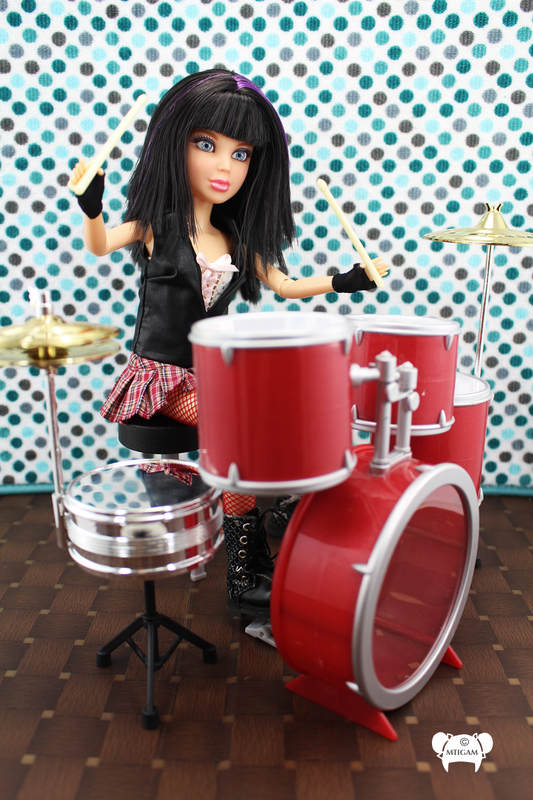 The set also came with drums but that one had a Bieber signature and I'm not a fan. I was really only after the miniatures from the set. I prefer the Liv version in red below, which I got from Walmart, probably in 2012. 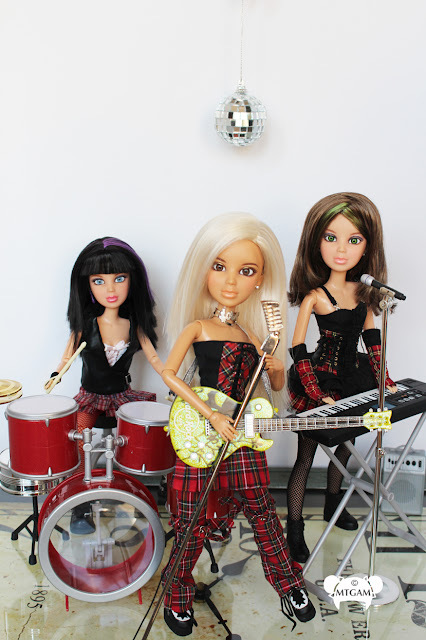 So now I have myself a rockin doll band! Hoorah! Wspaniały zespół a lalki Liv są naprawdę piękne! Ubranka idealne! Pozdrawiam serdecznie!